It was only day three of their operations when we paid LUMU Beerhouse & Filipino Kitchen a visit in Greenbelt 3. It is tucked in the mall's 'backside,' so I missed it on my first walk in the area. Tip: when you're close to the escalators next to Peri-Peri Chicken, you are in the right place. LUMU takes the space that was formerly Krocodile Grille. A new tambayan is now open in Makati for your evenings of eating Filipino comfort food, pulutan, and more. 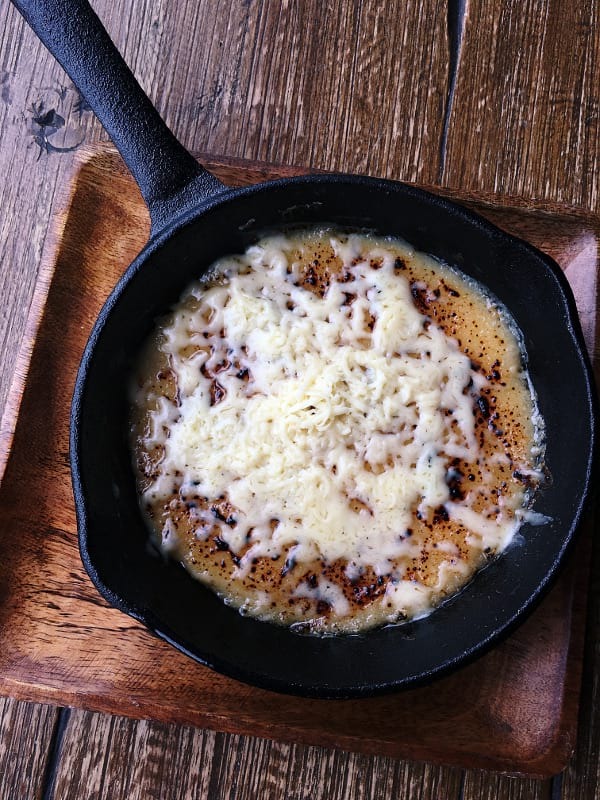 While LUMU is better known as a modern 'beerhouse' that serves reinventions of Pinoy pulutan and other protein-forward dishes best paired with beer, it would be a sin to miss out on their desserts. The pichi-pichi, according to the server, is heaven. And being a sucker for kakanin, I longingly await for our order while they make it from scratch. Now, we're more accustomed to enjoying this merienda in room temperature (sometimes straight from the fridge), often in potluck parties or as takeaway from popular stores. It would usually come in a box that conveniently has the pichi-pichi sliced into gummy cubes, either topped with shredded coconut or grated cheese. 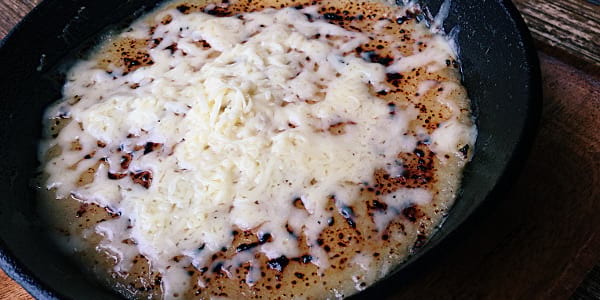 LUMU steers clear from this usual route and presents the humble kakanin as Pichi Pichi Skillet. 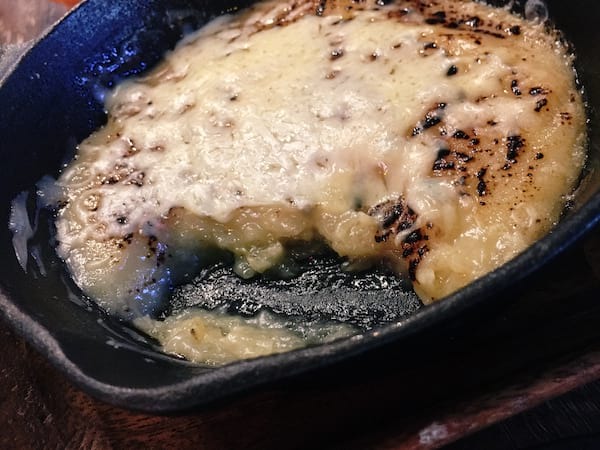 Their cassava cake is cooked in a cast-iron skillet, and it takes quite a lot of armwork to achieve its smooth consistency. It's then served to you on the skillet, so you know it's always freshly cooked, hot and straight from the kitchen. 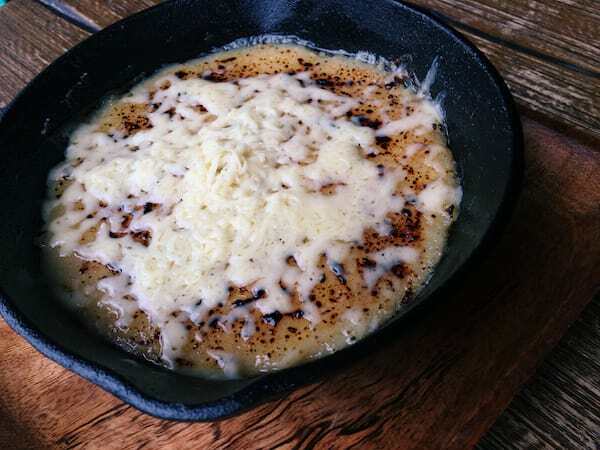 What you get is warm and gooey goodness unlike any other, highlighted by more flavors of the custard--a heavenly combination of coconut and cheese--smothering its surface. Get a big spoonful of it and take it all in, and understand why their own staff sings praises about this dessert. 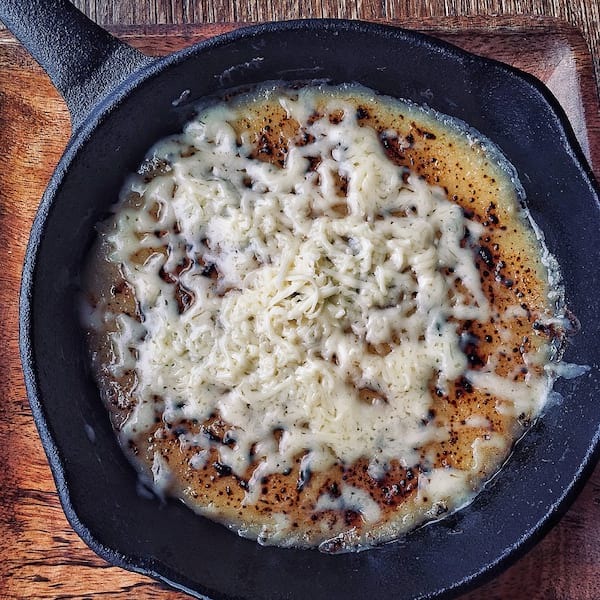 Warm, a little sticky and slightly chewy, with cheese meeting sweetness. It's enough to make one (especially a kakanin lover) get weak in the knees with its melt in your mouth perfection. Sure, come by LUMU for their slew of skewered treats and homemade sausages, and have the guts to try their kambingan menu (something quite unique to the Greenbelt crowd). But do stay a little longer to trust their server's dessert recommendation -- leave ample space for this pichi-pichi. 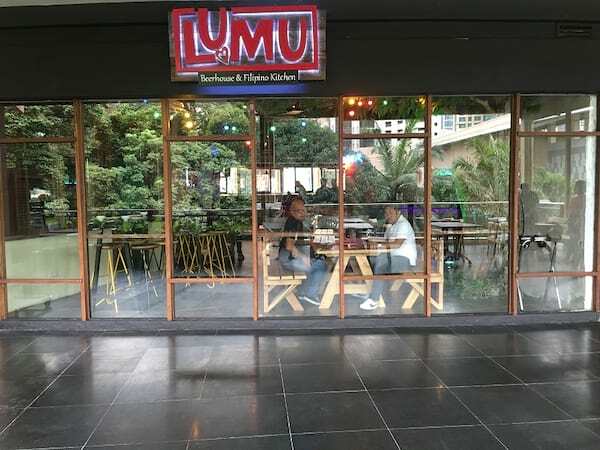 Where to Find it: LUMU Beerhouse & Filipino Kitchen, located at the third level of Greenbelt 3, Makati (beside Peri Peri Chicken). Follow LUMU on Facebook (/LUMUBeerhouse.FilipinoKitchen) and Instagram (@lumubeerhouse).